Like so many of us, I can get completely overwhelmed at times. My list of what I need to do and what I expect of myself never seems to end. Home projects, responsibilities and book ideas all seem to pile up at alarming rates, the list growing longer than the hours in a day. (If I’m honest, the list is probably longer than the number of years I have left to live on this earth.) I want to accomplish so much and at the same time, I want to do everything right. But that voice in the back of my head is screaming at me, “Lower your expectations, Heather! This precept of Lower Your Expectations is actually four parts (and four days) long. Today is the first part—Do Less. I really should start listening to that nagging voice that’s telling me to lower my expectations. It may hold the secret to my complete and utter happiness. Okay, maybe that’s a bit extreme, but it think it may be on to something. It seems crazy to tell yourself to lower your expectations, though, doesn’t it? Wouldn’t most people think you should expect more to get more? If you set the bar low, you won’t work as hard. And you could actually make yourself fail if you don’t expect to succeed. Like if you expect to fail your driver’s test, you could psychologically cause yourself to fail the test, right? If you don’t have faith in something you want to achieve, it can become a self-fulfilling prophesy to not accomplish the goal. Why bother to tell yourself that you can do anything if you don’t expect to do it? Because you shouldn’t expect to do everything. Just because you CAN do something, doesn’t mean that you should. Sometimes Less is More. No wiser words have ever been spoken. I saw this meme on Pinterest the other day and it hit me so hard that I couldn’t breathe for a minute. Okay, slight exaggeration, but you get it. Sometimes you stumble upon something that is so relevant to your current situation that it stops you dead in your tracks. Words that can turn your head around and make you really evaluate what you’re doing. I’ve been burning the candle at both ends lately. Forget both ends, I’ve been burning it at all ends. Not only do I need to blog daily about The Better Me Project, I have to actually carry out the precepts that I’m talking about. I’m trying to start an online magazine for writers. I have three books half finished right now. There are at least another two book ideas banging around in that cluttered brain of mine. I’ve been researching SEO, Pinterest algorithms and other internet nonsense in order to make my blog more visible and reach more readers. I’m writing a book proposal based on this project. We’re still doing the The Bad Mommy Cooks the USA tour. I want to put all those recipes and disasters into a cookbook. Oh, and I have to go to work and clean my house and feed my family and the dog and work out and generally make sure everything doesn’t fall apart in the meantime. And while I have to admit that I’m pretty damn awesome and I do get a lot done, I’m still setting myself up for inevitable failure. I’m sure there’s so psychological reason that I do this, but I don’t think I should waste any time trying to figure that out. What I need to do is STOP. Well, not stop altogether. I need to lower my expectations and allow myself to DO LESS. Prioritizing. Ugh. It’s like a dirty word. How does one prioritize exactly? I mean, if I make a list of things I need (want) to get done, everything on that list is important. Certainly there are things that MUST get done immediately—like eating dinner—but in my mind, everything else on that list is pretty damn important. Otherwise, I wouldn’t have put it on the list in the first place. Duh. 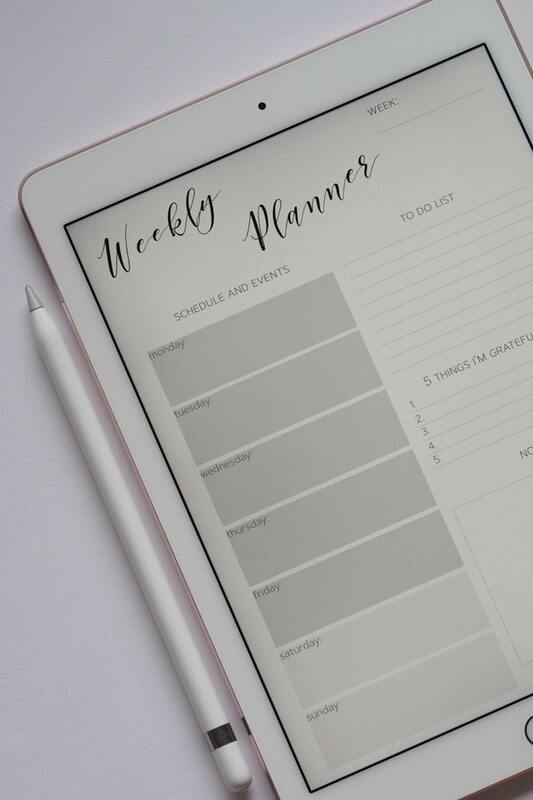 And sure, some items on the list are dependent on others (like I can’t schedule my blogs before I write them), but how do I say, “okay, this item comes before that item?” The best way for me to do this is to evaluate my goals. What is it that I’m looking to accomplish? And on a hierarchy of needs, which goals are most important? Obviously, I want to keep my dog and family alive, so feeding them and making grocery lists need to be done. Along with laundry and going to work so I can make money to do laundry and feed my family. I mean, it’s one thing to disappoint my adoring fans everywhere if I don’t put out a post every day—it’s another not to go to work and have clean clothes. So yeah, it’s all important, but what isn’t helping me accomplish my goals? I started this Better Me Project because I truly wanted to mold myself into the best version of myself that I could possibly be. And not only for myself, but for my family and friends and pretty much anyone who ever had to deal with the “not better” version of me. Right now, this project is at the top of my list. Therefore, my blog posts and actually doing the project is one of my most important goals at the moment. Stuff like working on my newsletter and my running and the four thousand book ideas that are swirling in my head need to take a back burner. So does marketing and figuring out how to get more readers. I have to actually complete the project before I worry about that. These are all things I want to accomplish…eventually. But I also need to take this one step at a time. And for me, that’s REALLY hard. I want it all and I want it yesterday. I think the most difficult part of not being able to see my goals accomplished as quickly as I want them to be is the fact that I am seriously worried that I won’t get to them at all. Our clocks are all ticking and we never know when we’re going to run out of time. It’s scary to think that we don’t know what we will have time to accomplish in this lifetime. Just thinking about that causes me anxiety.